Hey all.. it been a long time since I put up anything anywhere. Anyway have some free time and I have been working on some of my old blinds to windows 7 standard . Anyway since I only have skinstudio standard edition and i dont think i will be able to purchase anything soon for the pro version. Is there a work around to edit those start panel animation. been looking for it for hours today..still fail to discover it. Any help is much appreciated. How did you originally make them? If either of those ,alter the layers. If it was an ani. 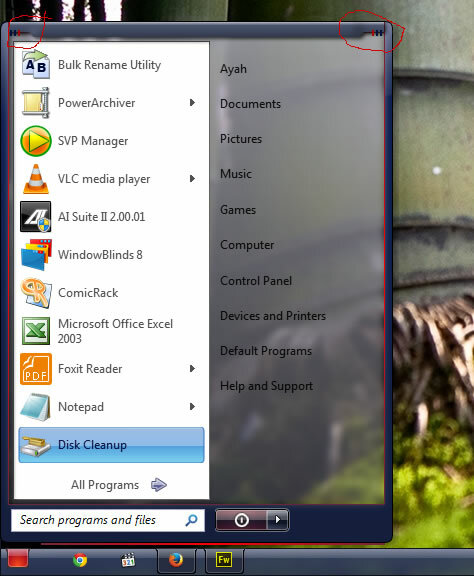 file, just delete the file and adjust your start menu graphics leaving out the animation. If you wanted to send me the skin, I could tweak the animations to your liking and send it back to you? PM me if your interested. 2of3 thanks for your offer will let you know if I need it or just for test the skin out on your machines. RedneckDude Thanks.. I responded to your PM. Hope to hear from you. I'll PM my email addy. Basj, I can test on Windows 8.1, if needed.